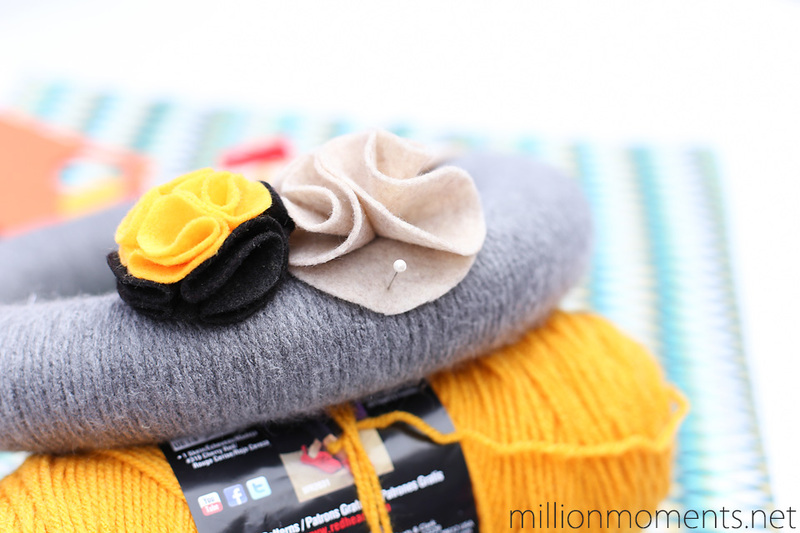 Remember how we made those cute felt flowers and rosettes last week? 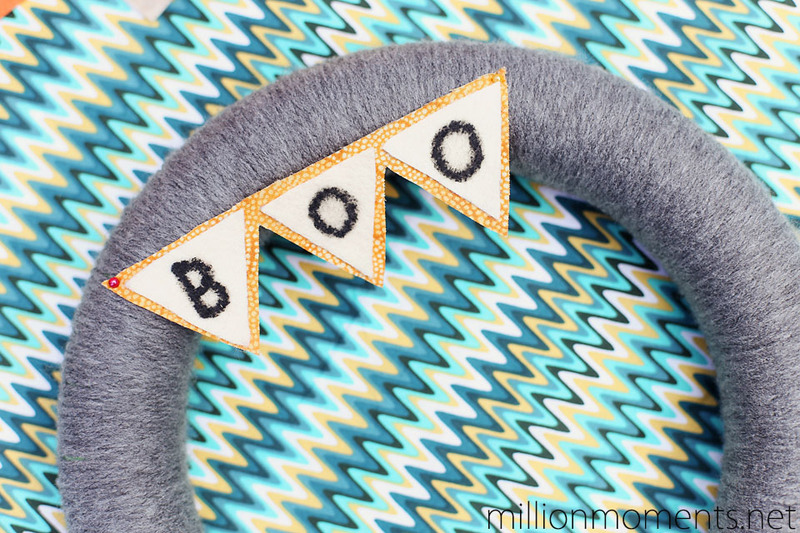 Well today I am going to show you how to make an adorable Halloween Wreath to put them on! With the spooky holiday coming up in just over a month you will want to jump on this one and adorn your doorway with some handmade goodness! 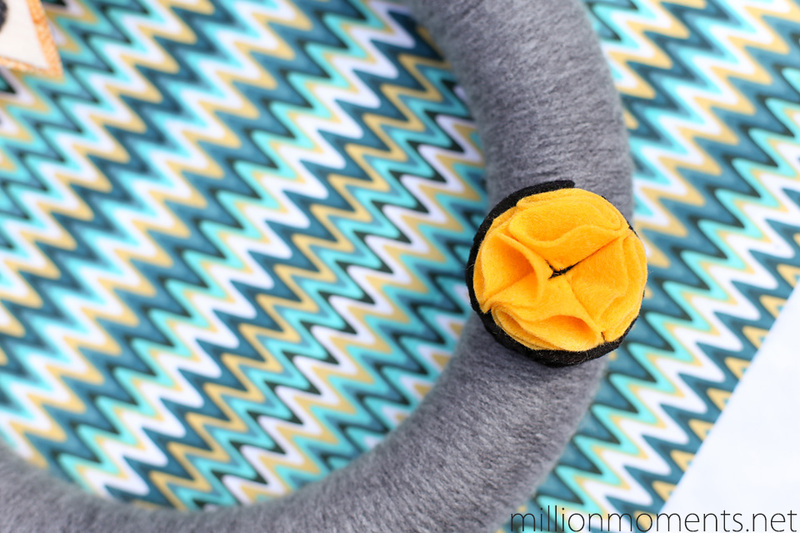 For this craft you will need a foam wreath form, a skein of light grey yarn, a small scrap of fabric for your banner, a small sheet of felt, some felt flowers, scissors, spray adhesive and a hand full of sewing pins. 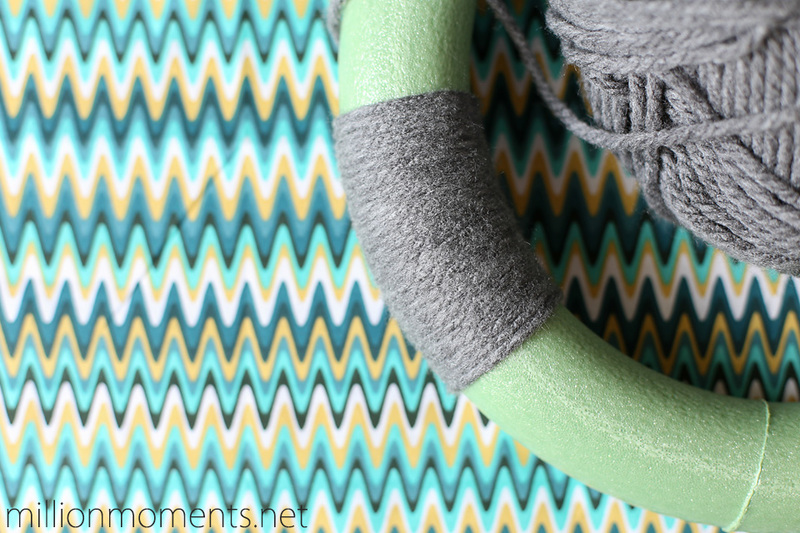 The first thing you are going to do is to wrap your wreath form with yarn. 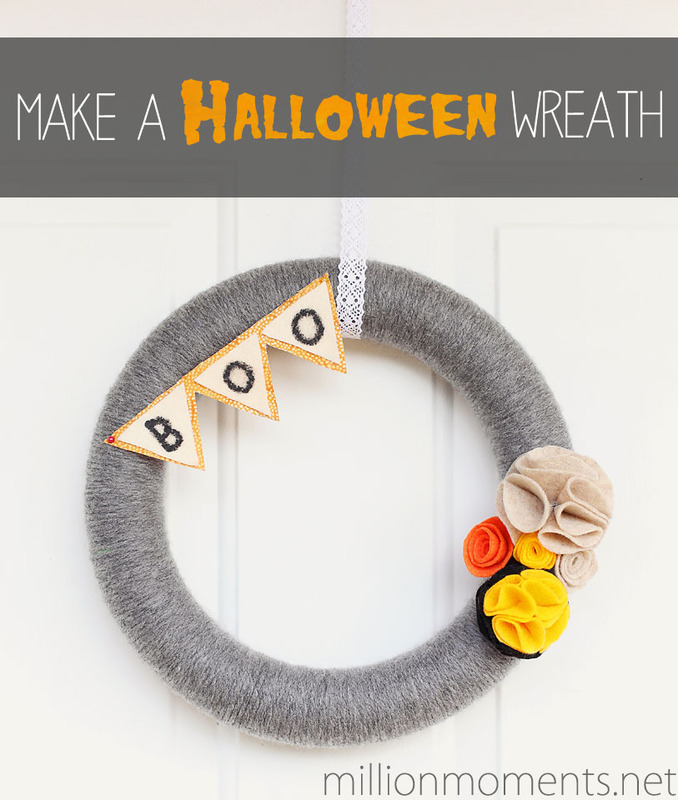 I am using a 9 inch foam wreath that I scored for $4 at Hobby Lobby, but there are a lot of different kinds/sizes you can choose from. 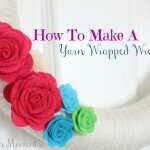 Spray a tiny bit of adhesive on your wreath form and wrap the yarn around it a few times to secure it in place. You might have to hold it for a few minutes so it can dry, but most spray adhesives set fairly instantly so it is no big deal. 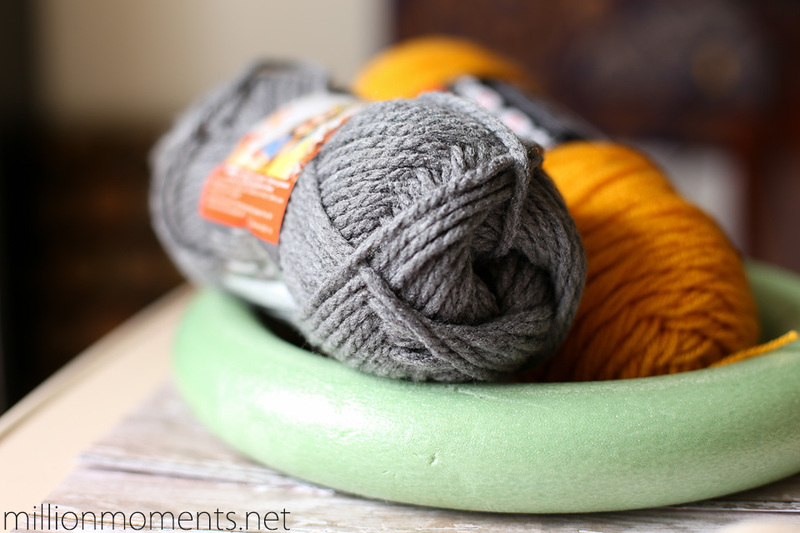 Once you have it secured, continue wrapping your yarn all the way around. I like to use a nice medium-thick yarn because it gives great coverage, but any type of yarn will do as long as it isn’t too thin. When wrapping, be sure that you use even pressure on yarn and be careful not to overlap/tangle anything. 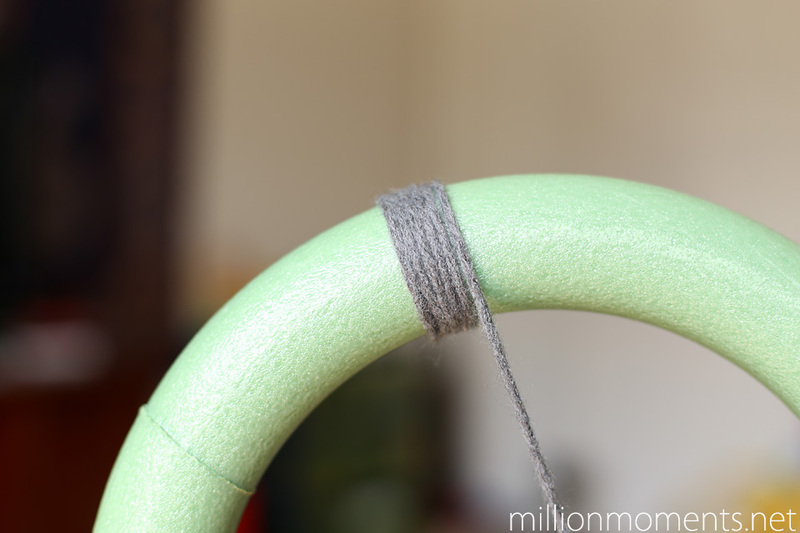 If you need to take a break, spray a little adhesive and secure your yarn like when we started so it doesn’t unwind. 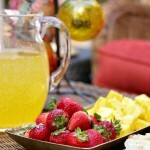 That’s better, right? 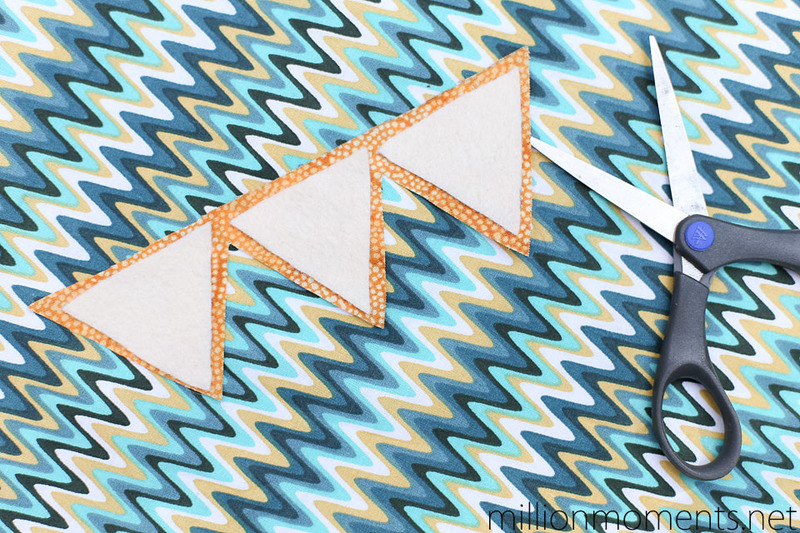 Now add a little adhesive to the backs of your triangles and place them on top of your fabric banner. 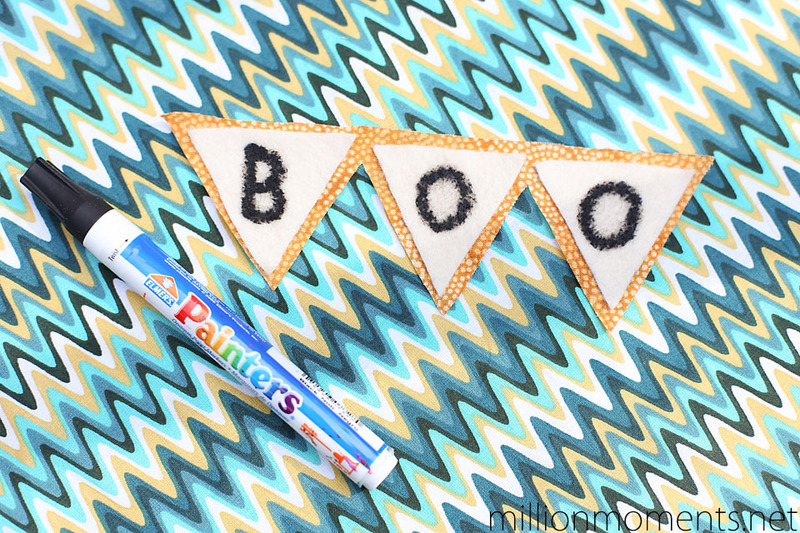 Let it dry for a few minutes and then write “BOO” across it with paint markers. 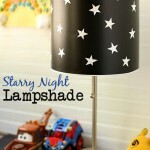 You could also use stickers, vinyl lettering, stamps or any number of things for the letters. 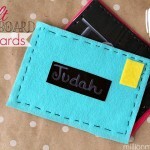 Now that your banner is complete grab two of your sewing pins. Position the banner over your wreath so that it goes in a diagonal slant and secure it at the edges with the pins. Make sure you push them down so they are firmly in your wreath. 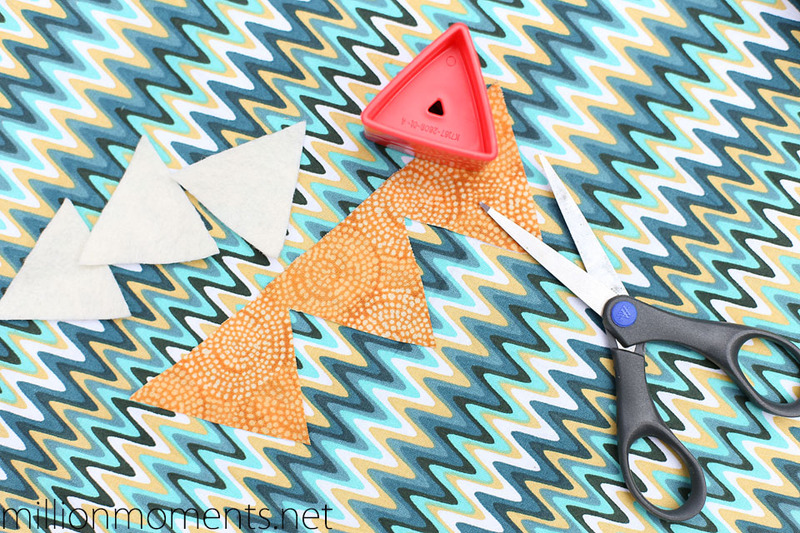 After your banner is attached it is time to put on the felt flowers. Choose as many as you would like, arrange them and then pin onto the wreath. When pinning you want to try to keep your pins out of sight, so find a spot like the bottom layer of your flower to insert the pin. After that, the only thing left to do is add a ribbon for hanging and you are done! 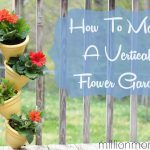 The reason I use pins for this is so that I can switch out my flowers and other decorations for different holidays or occasions instead of having to make a new wreath each time. Smart, eh? 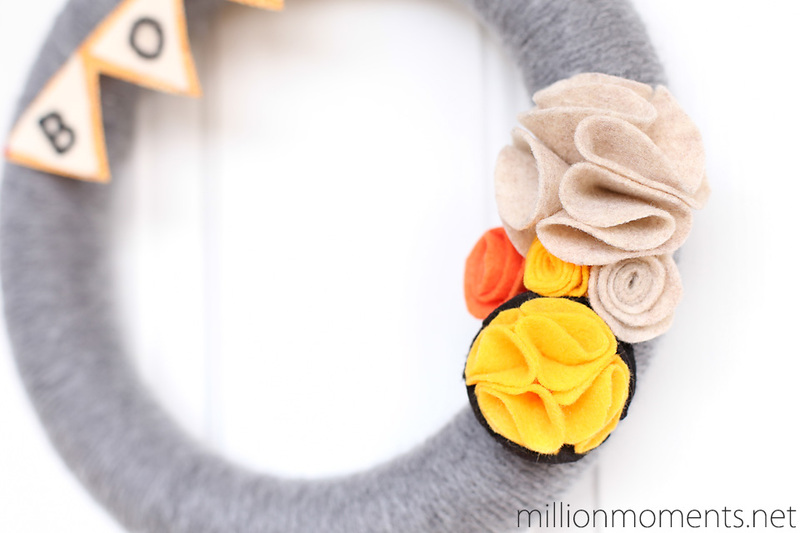 No go make your neighbors jealous with your awesome new wreath!